A high quality product & service isn’t enough to make you stand out in a crowded field. Our high quality content, innovative design and customized strategy expresses the value of your brand. Consistent high-quality is essential in building an organic following & client base. It also helps to know who your following is. That’s how you build a strategy for success. Your audience wants an experience, they want to feel your brand and they want to know what you stand for. Branding is how we give them that experience. 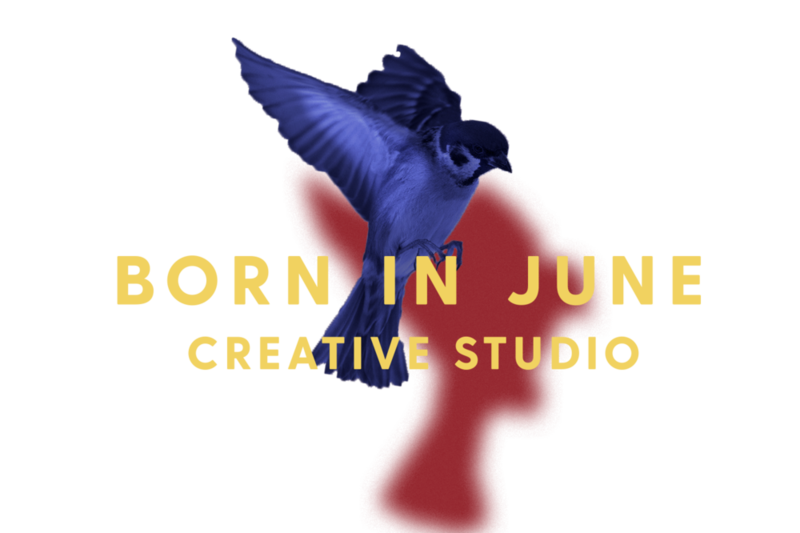 Born In June can create or elevate your branding and create a campaign that delivers results. Today’s consumer doesn’t want to see stock images. They want to see original, impactful deliverables that speak to them. Mundane marketing and branding materials just don’t cut it. We are a one-stop solution for all your branding, design, copywriting and digital marketing needs. You should brand first, not often. Successful brands know that every decision begins with branding. Expressing your values and who you are with compelling words and visuals is essential. We set you up to build a legacy brand that will stand the test of time! With us content is king. We believe it’s not about selling to your audience, it’s about telling them your story. Whether you need a campaign for social media or a print advertising strategy, we take you from concept to execution to create online and in-person experiences that connect and convert. Our keen eye for design and visual trends is applied to your photo shoot, video brand packaging or brand aesthetic. This is one of our greatest strengths and you can be assured you will stand out from the crowd! Having a product or personal brand is one thing, making sales is quite another. Let’s figure help you meet your goals by connecting with your audience outside of social media through email marketing and e-commerce strategies. Everyone is on social but not everyone is doing it right. We have a proven record of growth, higher engagement and partnerships that help you leverage the power of Instagram and the latest social media tools. As Co-Founder and Account Director for Born In June Creative, she oversees the brand content creation, messaging and data-driven decision making & client relations. She leverages her mastery of language, understanding of platforms and insights into cultural shifts to help organizations and brands communicate with their audiences. Her background includes non-profits, & political movements. She is also a writer who has been featured in Marie Claire, Forbes, Vox and other national outlets. She is also the host of The Currently Podcast. As Co-Founder and Creative Director for Born In June Creative Studio, he ensures that excellent visuals lead the way to increase the social capital of your brand. He has an extensive design and art direction portfolio which includes cutting-edge brands like Adidas. His sense of aesthetic and creativity comes with a superb understanding of advertising, visual communication and design. With a background in start-ups and e-commerce, he brings fast-paced, dynamic energy to every project. He’s also an accomplished illustrator and vector artist.